The construction of iconic towers such as the 828 meters high Burj Khalifa (formerly Burj Dubai), officially inaugurated on 4th January 2010 in Dubai, poses many challenges to surveyors, engineers and contractors. Tall towers may bend and sway in the wind, with cranes and other loads. Ideally, such motion should centre on the as-designed main axis, so that in the absence of load the tower stands precisely vertical, but deviations occur as a result of raft settlement, concrete shortening and construction tolerances. To guarantee the precise upward thrust of a tower along the vertical during construction, complete control must be maintained of the position of each new element erected on top of the existing core walls. Such new elements, and hence formwork structures, must be precisely positioned with respect to the main axis of the design reference frame, which is defined as the vertical positioned in the centre of tower. This means that the position of the formwork structures at the top of the tower must be continuously measured during erection of the building. The coordinates, computed from the measurements, should refer to the main axis very precisely and reliably. However, anomalies arise from movement due to wind, cranes, sun radiation and other loads, and vibrations within the tower. 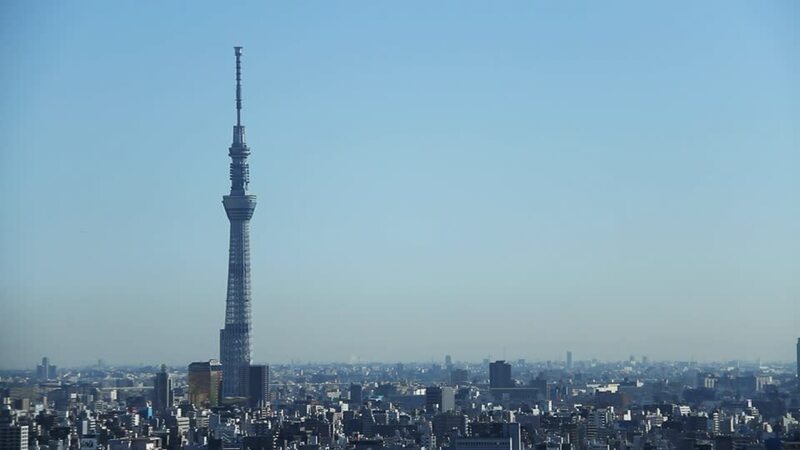 Conventional methods for monitoring tall towers, such as optical plumbing, are incapable of compensating for such anomalies, and this is an intolerable drawback when the towers are super high-rise, such as the Burj Khalifa in Dubai. To control such towers, Joel van CRANENBROECK, Managing Director of CGEOS, developed and proof-tested a new measurement system based on GNSS (GPS and Glonass) combined with high-precision inclination sensors and total-stations. The surveying procedure, called Core Wall Control Survey System (CWCSS), has been applied first to the Burj Khalifa in Dubai, UAE, the Al Hamra tower and NBK tower in Kuwait, the Landmark tower in Abu Dhabi, the CMA tower in Riyadh, the New Lotte Tower in Seoul, the Skytree Tower in Tokyo, the Shard of Glass in London and other high-rise buildings around the world. ​CGEOS - CREATIVE GEOSENSING has an unique expertise in leading super towers and other extreme engineering structures. One of the key invention for succeeding with the CORE WALL CONTROL SURVEY SYSTEM has been to turn GNSS at its highest accuracy and on the job site. 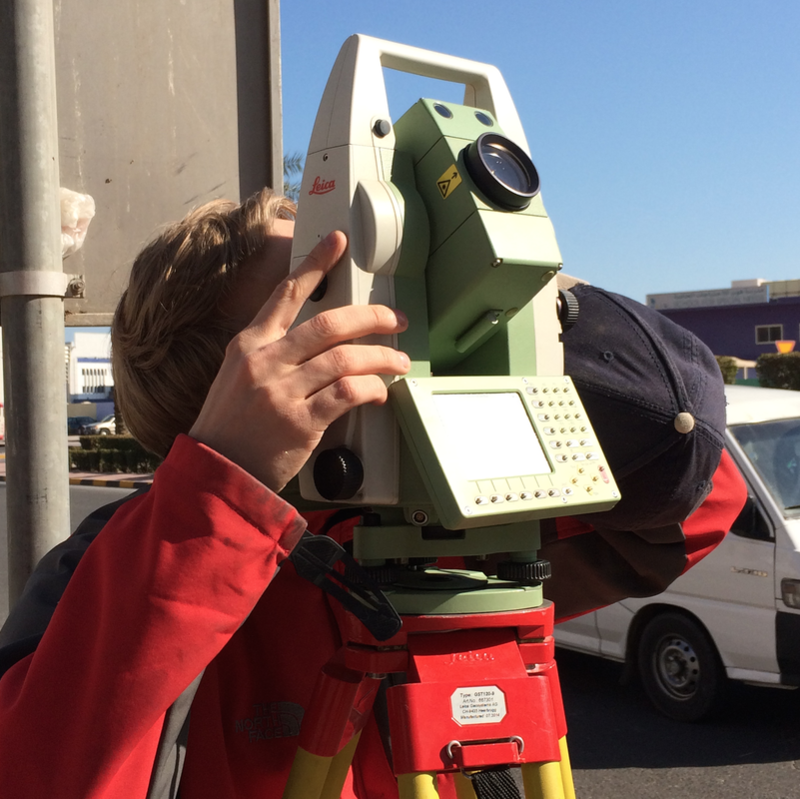 Confronting GNSS derived coordinates to accurate Total Station measurements is de facto proof checking this achievement. The "Active GNSS Control Points" approach is nowadays used everywhere in the industry. 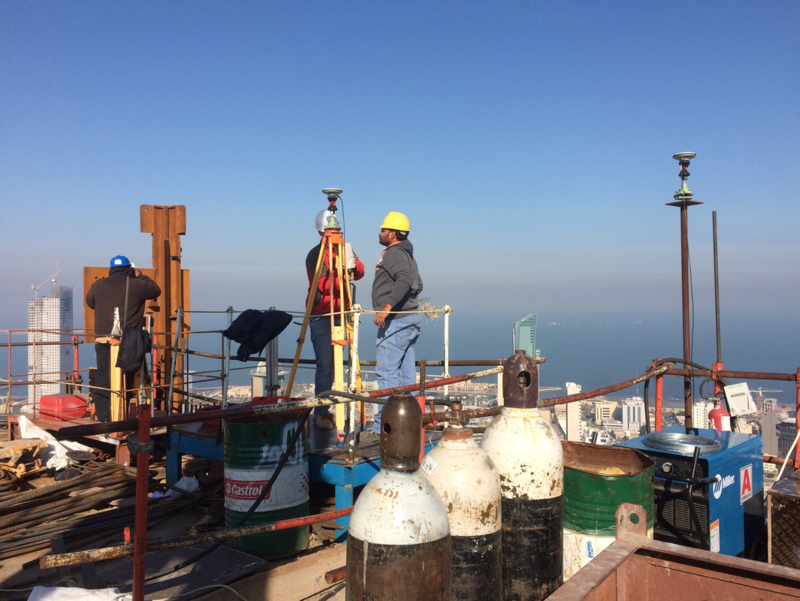 To align the coordinates obtained from the Total Stations, knowing the structure is subject to movements, swings and deflections, we are networking precise dual-axis inclinometers along the tower vertical axis. Calibration and dynamic modeling are part of the proposal. Every high-rise building is unique as the wish of the owner to build unique iconic tower for leaving a footprint in a city landscape. Therefore all methods and systems for guiding the core walls along the true vertical must be adapted accordingly the structural brief, the construction sequences, the choice of the formwork systems and the environment. Sometime, GNSS cannot be used due to the obstructions around the new construction and new approaches must be adopted. Interfacing surveying results with geotechnical instrumentation is also mandatory to understand the movements induce by the foundation load. All the information flowing in and out the designer and structural engineering office must be connected with BIM. Our proposal starts with developing method statements, primary survey control network, qualifying instruments and training the surveyors up to providing high qualified geodetic engineers to assist contractors during their work. Another sequence is starting right after the construction and commissioning. It's about monitoring the new structure for at least 10 years corresponding to the contractor's responsibility. The merit of having already equipped an high-rise building with sensors (GNSS, inclinometers, automatic leveling systems ...) during the construction is to have the initial structural brief history. Adding accelerometers, velocimeters, anemometers and other dynamic sensors, will lead to provide operational modal analysis. 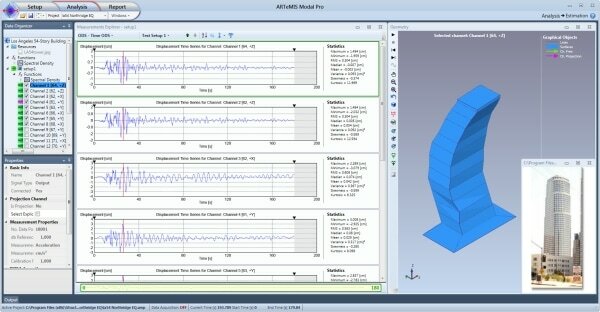 The Operational Modal Analysis is a method to describe a structure in terms of its natural characteristics that are the frequency, damping and mode shapes – its dynamic properties. Methods of modal analysis are relatively recent methods of investigation, which have been implemented to establish and / or improve knowledge of the dynamic model of real structures. Indeed, the significant parameters making it possible to represent the dynamic behaviour of a linear structure whatever its complexity are "concentrated" in a number of reduced modal parameters: eigen frequencies, damping and associated eigenforms. We are partnering with international experts who have long track record of project, developing and using dedicated softwares.